It’s a week after Easter, and as you stare at your basket full of goodies, you feel a mixture of both longing and disgust. You have eaten so much candy already, yet your upset stomach is still begging for more. You stare so long at the basket that the one chocolate bunny left standing starts to stare back at you angrily, daring you to eat him like you so greedily ate all of his friends. You resist. Let’s face it, Easter is way over, and you know you can’t stomach any more candy. But how will you rid yourself of all this unwanted junk food without entering into a near-deadly food coma? Have no fear. This comprehensive guide is here to help you turn your mounds of candy into treats you can enjoy all year round. Because we know college students are always looking for a way to spice up their liquor. Just pour a half cup of your favorite vodka over about a fourth cup of jelly beans and then let them soak for the next 48 hours. Strain out the beans and voila!, you have your very own candy cocktail. 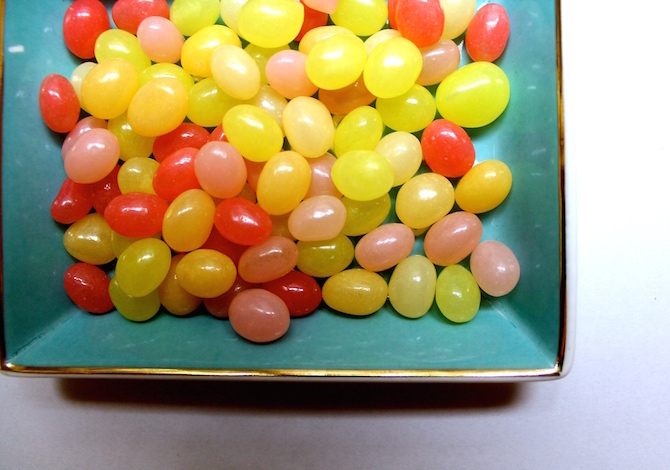 Try mixing your new jelly bean vodka with champagne and a splash of lemon juice for a classy twist. What better way to improve your Easter chocolates than by mixing them into more chocolate? Melt some white chocolate (or whatever kind you prefer), pour it onto a wax paper-covered baking sheet and sprinkle in crushed Easter candy – M&Ms, reeces pieces, peeps – the possibilities are endless. Chill for an hour before breaking the bark into pieces. 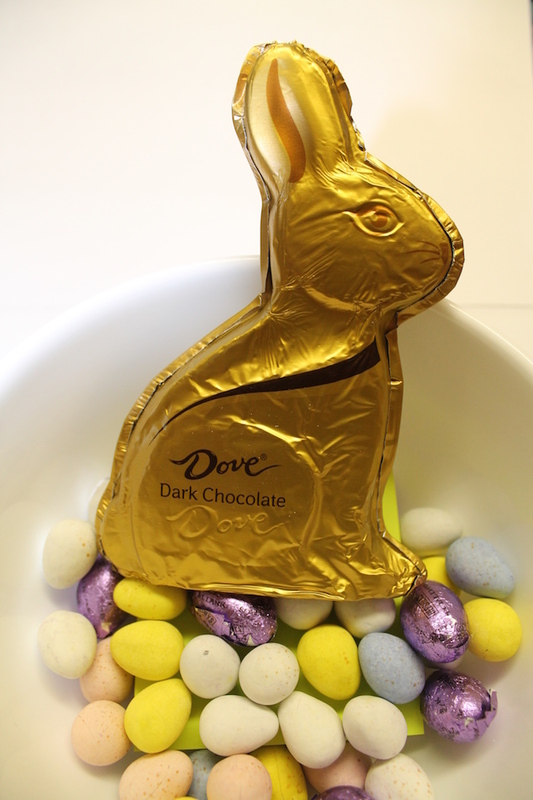 Bonus points awarded for melting that last chocolate bunny (you heartless person, you). Does anyone actually enjoy eating peeps? Nope. So use them to make pretty pastel rice krispie treats instead with this awesome recipe. If you think you liked rice krispies before, these pretty pastel versions will blow your mind. Plus, you get the added satisfaction of knowing you rid yourself of the worst Easter candy ever. If you don’t enjoy watching peeps blow up in the microwave, do you have any sense of humor? 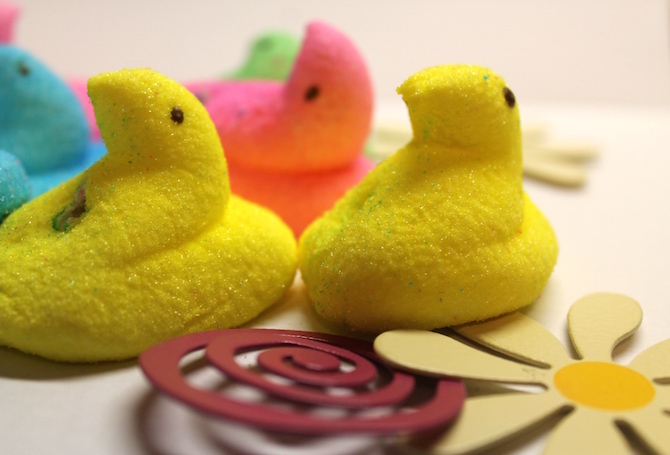 This article about using leftover peeps includes a s’mores recipe that combines the wonder that is exploding peeps with the classic treat for a delicious dessert that can be made in the comfort of your own dorm room (if you have an illegal microwave, like I do). These candy-filled pastries are the perfect way to disguise dessert as breakfast (because let’s be honest, who doesn’t love doing that?). All you need is a simple pastry crust to fill with jellybeans and an oven to turn it into the gooey deliciousness that is a candy poptart. If that’s not the breakfast of champions, then I don’t know what is. The only thing better than biting into a cupcake is biting into a cupcake and discovering the explosion of creamy goodness that is a Cadbury egg inside. Chocolate fudge cake mix and buttercream frosting make this the perfect post-holiday treat. 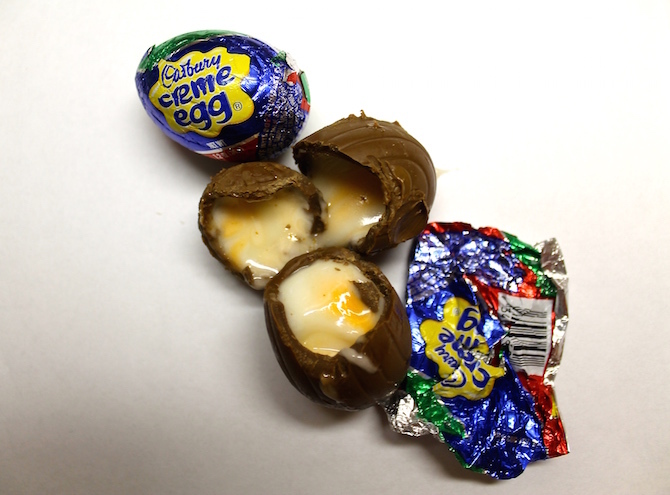 All you need is this recipe to make all your Cadbury creme egg dreams come true. Is there anything you can’t make with these things? Vanilla ice cream, milk and vanilla extract are the only ingredients you need to turn your leftover crème eggs into this blend of creamy goodness. Try adding chocolate ice cream or caramel sauce to make it your own!